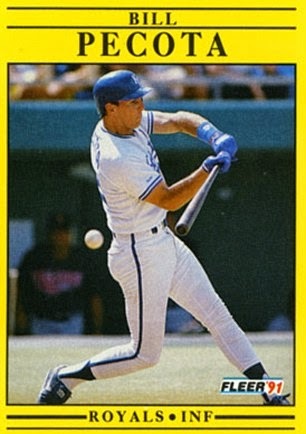 It’s Bill Pecota’s 1991 Fleer Baseball card. And no, this is not a mock up, it’s the real deal. 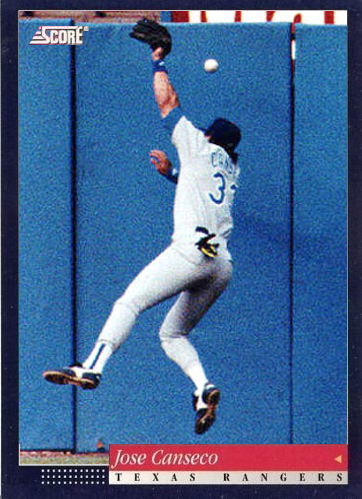 Unless that’s a check swing I'd say it’s pretty close to the concept of an actual error card. Perhaps the league has adopted a different approach over time. We also got some great suggestions for other “actual” error cards. As an update, here are two of the most memorable errors we didn’t cover. 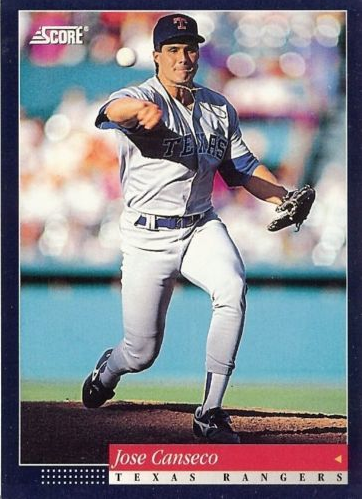 This is Jose Canseco on his 1994 Score trading card when he was with the Texas Rangers. And here is the iconic Conseco moment when he really had his head in the game. Off the noggin and over the fence. Embarrassing, but not as embarrassing as the next one. 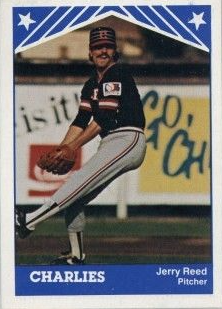 This is Bill Bunker on his 1986 Fleer Baseball Card, and I think you know what’s coming next. Yep, right through the legs. 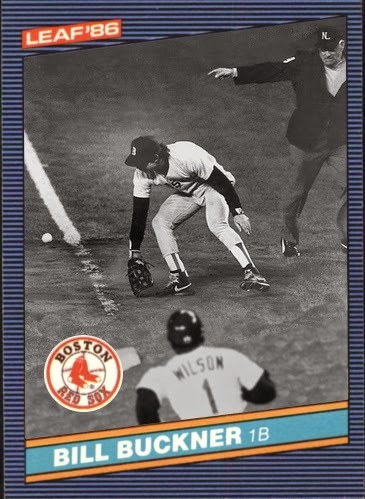 It’s not bad enough that he will be remembered for that moment for the rest of his life, but that also means he’s tied to Mookie Wilson forever. I did this late at night a few days ago. 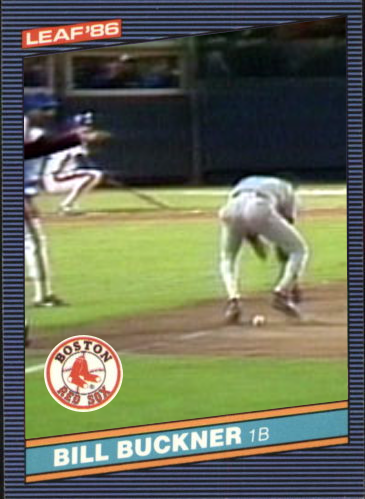 After looking at it the next morning I felt while it speaks to the error and shows it clearly, unless I tell you it’s ‘the play” and that’s Buckner, it’s not that clear what is going on except a ball passing through a guy’s legs. 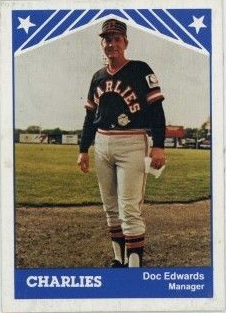 Add to that the photo is not all that well centered plus I had to crop out the umpire to fit the photo on the card. So here is an alternate version. It’s black and white, but tells the story so much better. Yes, it’s not the moment the ball is going through Buckner’s legs but Wilson and the umpire are in the photo. 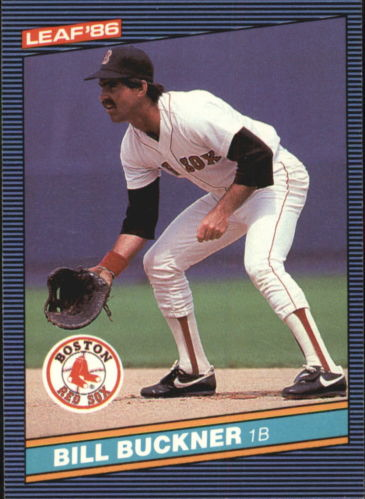 With Buckner in foul territory it’s pretty clear that something went wrong and for anyone that knows that moment it’s instantly recognizable. So you can see better photo selection and cropping can make a big difference. Let’s take a look at some cards that were made without those concepts in mind. 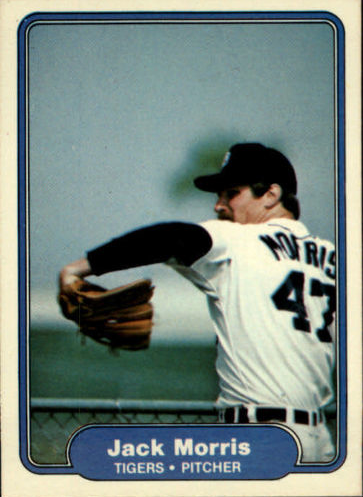 There are plenty of good Jack Morris cards to be found. This is not one of them. This might have been a good photo to begin with but the cropping and placement are lacking, big time. Plenty of uninteresting blue sky and only part of Morris. Not good. This could be considered one of the worst releases when it comes to photo selection and cropping. Here is another example of cropping gone wrong and it's a pet peeve of mine. If you are going to crop a photo, do it at the knees, anything below that and you had better include the feet. Squeezing Doc Edwards so that his cap hits the top of the frame and cuts him off at the ankles is awkward. And move Jerry Reed a little to the right. All of a sudden it doesn’t appear as if he is missing his toes. They were not doing Ed Glynn any favors letting him look like that but it's better than what they did to the team's trainer, Steve Ciszczon. Yes, it is more important for a team’s trainer to know how to fix people than it is to be photogenic. But if you are not even going to try why bother with a card. But all of this pales in comparison to what they did to poor Rodney Craig. The thing is he was not a bad looking guy. 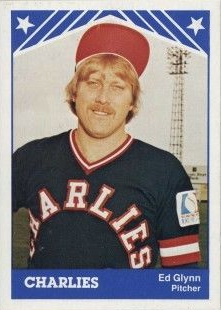 Here’s his Donruss card from that same year. See the difference a well selected photo can make? Maybe he’s smiling because he knew what happened with his previous cards. Perhaps there are others who didn't take so kindly to bad photo selection. 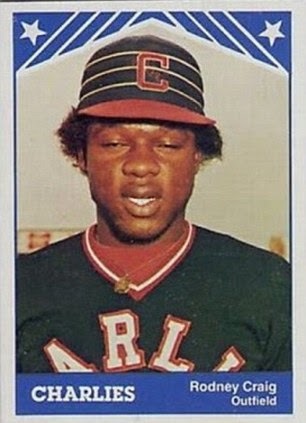 Especially back in the day when your first card of the year was your only card that year and you had an entire year to think about it. Maybe you think this only happens with Minor League cards and this would never happen in the Majors. Well think again. 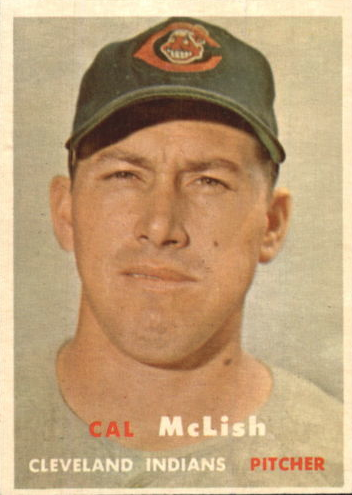 This is a 1957 Topps Cal McLish Rookie card. Looks like a nice guy. Photo works. Smile is slight but that’s OK. 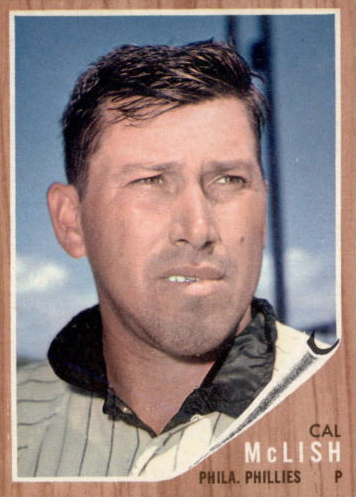 This is McLish’s 1960 Topps card. He looks a little pensive, as if he forgot to smile. Yes, Fleer and Leaf were around, but they weren’t putting McLish on their cards, so this is it for 1960. Maybe he had a year to think about it. 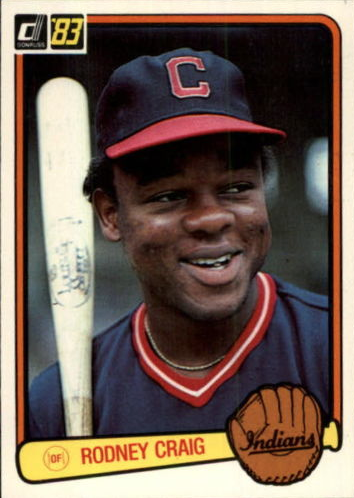 Maybe someone reminded him of his rookie card and that a little smile goes a long way. 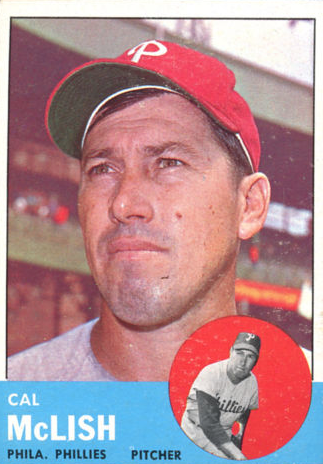 So 1961 rolls around, he smiles and this is what Topps does to him. The smile is there but where are the eyes? I know this is the age before digital cameras so one didn’t know how the pictures would turn out until the negatives were developed (kids, have your parents explain this to you) but really?!? He's a major leaguer. One picture and you move on? Or were several taken and this was the best in the bunch? McLish had a whole year to sit with this. In 1962 he brought his "A" game. Look at that. Hair is greased, combed and ready to go. A few teeth show you he's serious, but approachable. He had a whole year to think about this one. 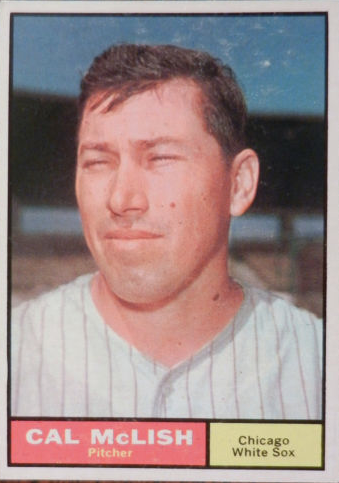 Perhaps he felt he brought on too much charm because this is his 1963 card. Back to serious and a cap hides that hair. Very reserved. Then comes 1964 and apparently he doesn’t even pose for a picture. 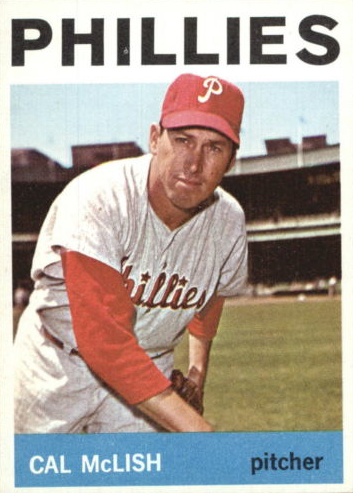 You will recognize this photo from the circle insert of his 1963 card. 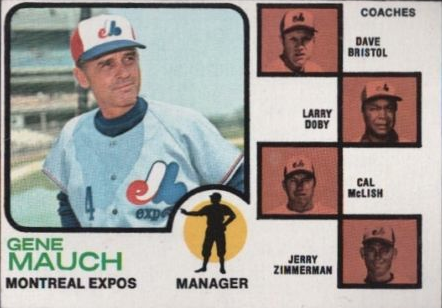 That was his last Topps card until 1973 and 1974 when he coached for the Expos. 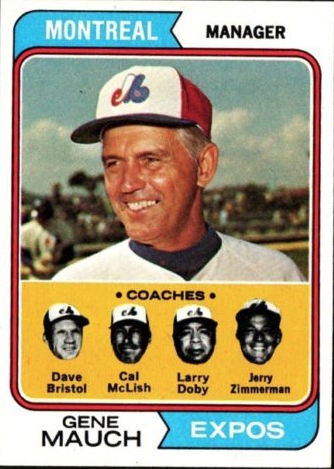 Reduced to Gene Mauch's floating head. But he does seem happy, smiling even. And that will do it for this installment of Free Dress Friday where anything goes. Hope you enjoyed it and it gets your weekend off to a good start. Please check back next Friday for more causal trading card fun. 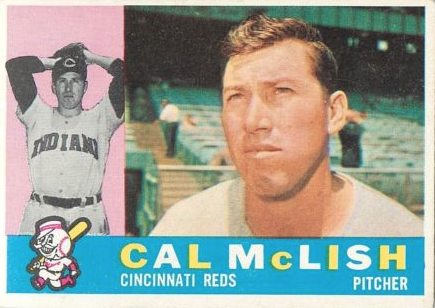 Cal McLish was always a favorite of mine as a kid. 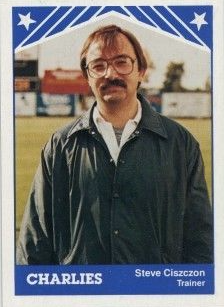 He was the Brewers pitching coach, and I loved looking at the Brewers Media Guides to see that his real name was Calvin Coolidge Julius Caesar Tuskahoma McLish. Seriously. Ok, that's my new record for best name in sports! I think its a fun concept for sure. I can see both sides of it, but keep pumping out these customs. They are cool. Great post! Had me literally laughing out loud on more than one occasion. You have to wonder what they were thinking with some of these- did whoever chose the photos at the card companies simply not like the person, maybe?